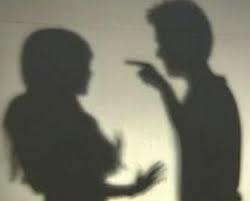 In the emotional abuse marriage, one of the characteristics of emotional abuse is the lack of accountability by your emotionally abusive husband. An emotionally abusive husband feels he is above the law — the law of the family. The verbally abusive husband rules with harsh words that bully and intimidate. The emotionally abusive husband believes he is the “king,” and feeling this way, he rules according. In his mind he is not accountable to anyone; according to his estimation, he is superior to you. In the emotional abuse marriage, the emotionally abusive husband feels entitled to determine how things are done. Should anyone challenge him, he dismisses them using a variety of disrespectful means. The verbally abusive husband uses his words to impose his will and do as he pleases. Emily and Bob married later in life. Bob had been married before and had one daughter from this union. Aware that her biological clock was ticking, Emily knew she would have to find a partner soon if she was to have a child. A friend introduced her to Bob. They courted each other long enough to feel compatible with each other and so they decided to marry. One year after the wedding, a lovely baby boy was born. Emily knew that Bob was not an easy person to get along with. He was at times opinionated, demanding and arrogant. What she didn’t realize was that over time his bad behavior would become worse. As a verbally abusive husband, Bob would relentlessly criticize Emily. He used words to erode her self-esteem so she would become compliant. And when Emily broke down and cried from his never ending complaints… Bob ignored her emotional pain. Bob dismissed Emily’s unhappiness as further proof of her imperfection as a wife and a mother. Over time, Emily lost all her feelings for Bob. She didn’t want him to touch her. As a high school project, Emily had studied emotionally abusive relationships and had promised herself that she would never marry an emotionally abusive husband. In spite of her promise to herself, it became clear to Emily that her relationship with Bob was like the emotionally abusive relationships she had learned about. She felt hopeless, lost and disappointed in herself. Emily threatened Bob with separation. Once when she tried to leave with their with their son, Bob block the door and wouldn’t let her go. Upon the advice of her friend’s lawyer husband, Emily called the police. The police made it clear to Bob that he had no right to restrict his wife’s movements. Emily was determined not to accept an emotional abuse marriage. Emily told Bob that he was an emotionally abusive husband and that if he didn’t change his abusive and controlling ways she would leave him. The police had made it clear to Bob that if Emily wanted to leave him, she could. Out of fear of being left alone and not wanting to end up with a second failed marriage, Bob agreed to attend marriage therapy. Even though the marriage therapist was caring and skilled, he could not help this stressed couple for one simple reason – Bob was not prepared to take advice from anyone—not even a relationship specialist! Bob argued with the therapist and insisted he was not a verbally abusive husband. Rather, he just wanted the best for his family and Emily just needed to smarten up and accept his advice. Emily was determined not to live in an emotional abuse marriage, so she left Bob three months after marriage therapy ended. What’s your story — are you emotionally abused by your husband? Is your husband made of Teflon? No matter what anyone tells him if he doesn’t agree with what they have to say, their words I have no effect. Does your man think that he knows the answer to everything? As a verbally abusive husband, does he tell you that only his opinions matters? And that what he hears from others is stupid? And and they happen to be right, their correct opinion was just a lucky guess? Do you have the feeling that you’re being treated by your emotionally abusive husband as if you were a child? He is the father and the mother, and he always knows what is best for you and he insists you do everything his way. If you have children he dismisses your opinion, preferring his own. Even though you may have more experience caring for the children, likely because child care is not “his thing,” he discards your opinion in favor of his own. At anytime he will interrupt what you are doing with the children and insist that you follow his directives. For example, if you put your children in coats before going outside, and he thinks they will be hot, he insists you take their coats off; or if it is bedtime, and he wants to play with the kids you need to just wait until he is done before you can put them to sleep. emotional abuse, abuser, psychological abuse, verbal abuse, abusive marriage No amounts of explanation, protest or presenting professional opinions can influence him sufficiently to get him to change his ways. Your emotionally abusive husband knows best… always! And what he wants from you is that you “shut-up and obey.” He may not use those abusive words, but this is his goal! If these are your experiences with your husband, then you are in an emotional abuse marriage which is characterized by your husband having total disregard for your opinion and the opinions of others. He is arrogant, rude and indifferent to your point of view and the viewpoint of others. Summing this all up, your husband is “not accountable” to anyone! If this is true for you, know you are in an emotional abuse marriage and you need help to change it or get out. We invite you to contact us and welcome your calls, letters and electronic mail. Contacting us does not create an attorney-client relationship. Please do not send any confidential information to us until such time as an attorney-client relationship has been established. Website by Websites For Lawyers.